Solar kits is not only environmentally friendly, but also to save money and make money, as many families essential supplies. Photovoltaic power generation design life of 25 years, if you want to make photovoltaic power generation benefits to achieve better, longer life expectancy, good post-maintenance must not be ignored, the family's power station maintenance is relatively simple, today for everyone under the system Family photovoltaic power plant maintenance methods. Home-made solar photovoltaic systems, generally less than 10KW system maintenance costs are almost negligible, if more than 10KW of photovoltaic power plants, you can budget 1% -3% of the total investment in the maintenance costs. Component Maintenance is performed on the parts requiring periodic inspection according to the product's supplier's instruction manual. 1, The surface of the PV module should be kept clean, but do not wash it too often. The surface of the PV module has a self-cleaning effect and will regularly wash away the dust on the surface. Frequent washing will not only not significantly increase the amount of power generation, but also cause a waste of water resources. 2, in order to avoid electric shock damage and the possibility of damaging the components under high temperature and strong light, it is best to clean the components in the morning or afternoon. It is recommended to clean the glass surface with a soft brush, clean mild water , Cleaning efforts to be small, to avoid damage to the glass surface, coated glass components should be taken to avoid damage to the glass layer. 1, regularly check the inverter wiring is solid, the insulation performance of the circuit is all normal, with or without damage, in particular, to check whether the normal operation of the inverter fan. 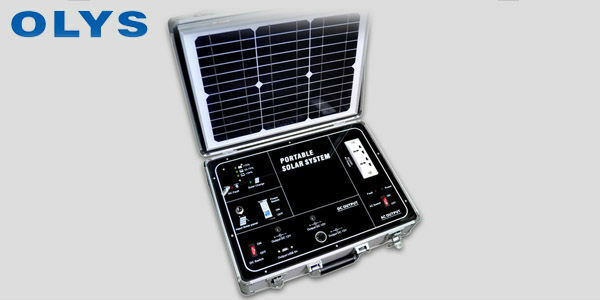 Shenzhen Olys Technology Co., Ltd. specializes in solar controller research and development, production and sales. Already has 12 years of rich experience, customers all over the world. Is a trusted supplier of photovoltaic systems! The above article provided by Shenzhen Olys Technology Co., Ltd.
Reproduced please indicate the source, thank you!